It’s great to see so many people carrying out little acts of kindness this World Kindness Day. Being kind online is essential in creating a better and safer online community. That’s why for Safer Internet Day 2015 we will be encouraging everyone to be a good friend online. 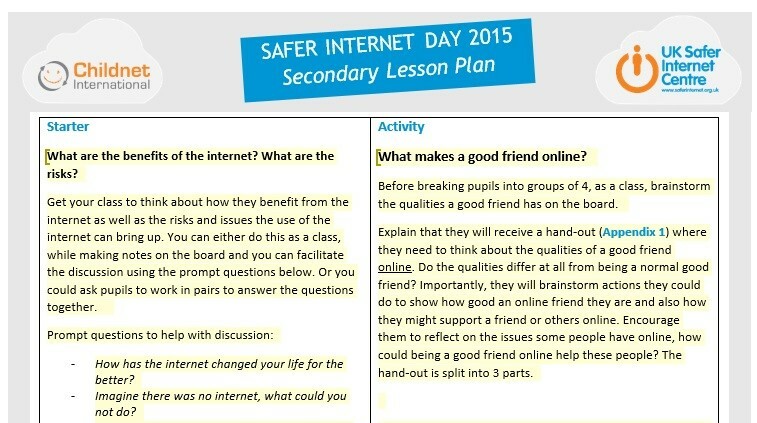 Our education packs for schools and parents are designed to help schools, youth groups and other organisations to deliver activities for children, young people, parents and carers on Safer Internet Day on the 10th February 2015. Many of the activities in the packs will encourage pupils to think of what it means to be a good friend online and to inspire them to think of practical things or good digital deeds that they can do to support others online and to help make a better online community. The secondary school lesson plan is a great example of this. In the session pupils will considers what it takes to be good friend online and think of practical things that they could do to help others online. They will then be shown a short trailer to a documentary as well as a short video highlighting positive things that they could do online to make the internet a better place for their friends and for others. Finally, they will think of ideas to launch a campaign in the school to encourage others to do good digital deeds for friends and others so as to ‘create a better internet together’. 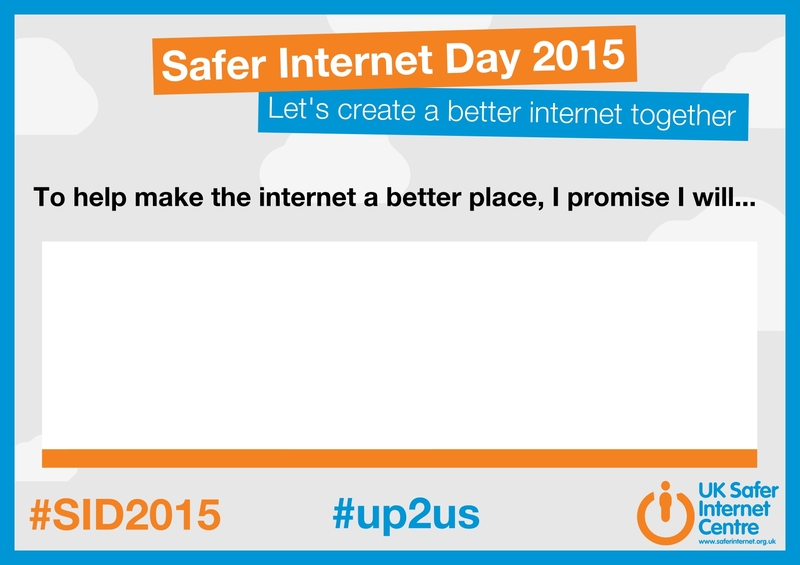 To celebrate World Kindness Day why not make a Safer Internet Day promise? Whether it’s showing a friend how to install privacy settings, starting a helpful blog or sending someone a positive message you can make a pledge to do something kind for Safer Internet Day. We have even created a Safer Internet Day promise card which you can print out, complete and put up on your wall to remind you what you have promised to do for Safer Internet Day.